How do I use my Care Plan? You can access Care Plan by clicking here. 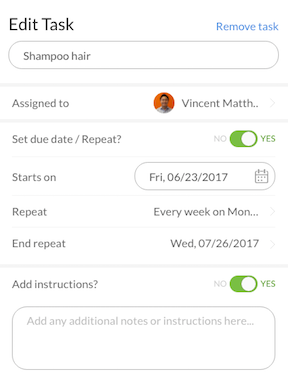 You will be able to see your daily tasks on this page. If you would like to set a new task, you will need to click '+ ADD NEW TASK'. Describe the task that needs to be done. Some examples would be to wash the clients hair or to give the client their afternoon medication. Click on 'None' to assign this task. 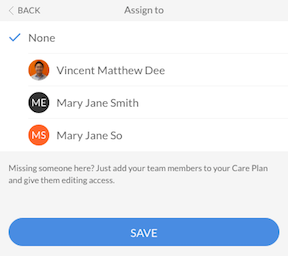 The caregiver who will be assigned this task should be selected. Click 'Save' in order to move on to the next section. 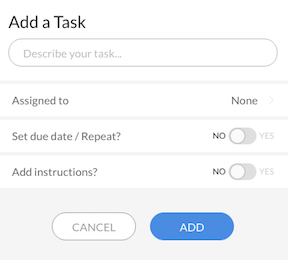 If you would like to repeat this task daily, weekly or monthly, you will select 'YES' next to 'Set due date/repeat'. You will be taken to the screen below where you can say how often this task should be repeated. When you are done, click 'SAVE'. 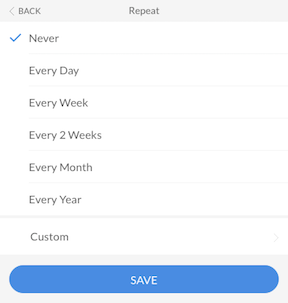 Tip 💡: You can even customize what days of the week you would like this task repeated! Any instructions needed to complete the task will go here. Once you are finished, you can click 'SAVE'. The task has now been added to your Care Plan. 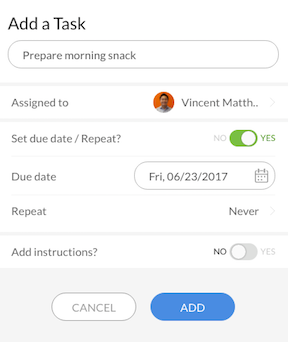 At any time you can click on a task to add a photo, add notes or mark the task complete. 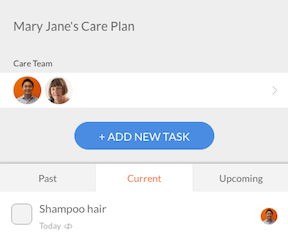 Tip 💡: Care Plan tasks are time stamped when marked as completed. This means the time and the date it was done is reported to the family. ℹ️ If you are still having trouble or have any other questions, please send us an email at support@carelinx.com with a detailed description of your issue and we will get back to you as soon as possible.